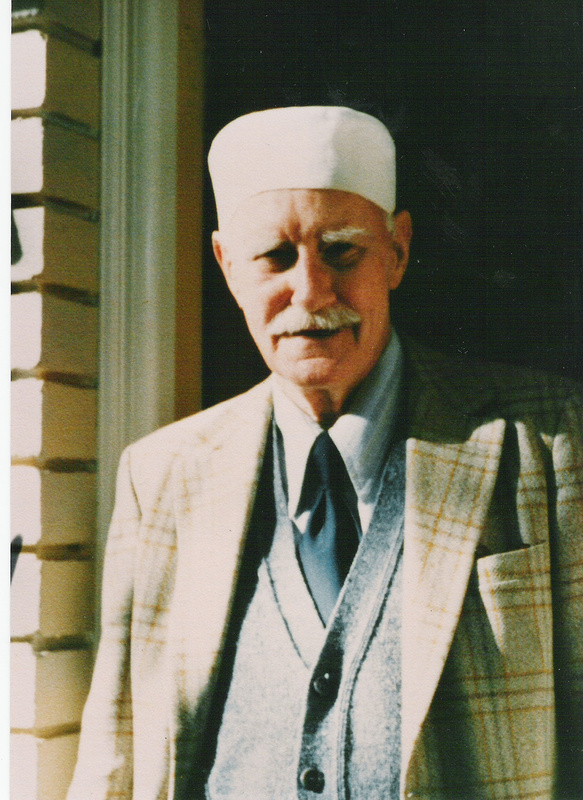 About three months ago I reviewed Frank R. Sinclair’s book “Without Benefit of Clergy” and found that his memoir offered the reader an appropriately “frank” account of the life and experiences of the gentleman who is the current head of the Gurdjieff Foundation in New York City. Frank was named co-president in 2000, president in 2005. It is a one-year appointment, regularly renewed. 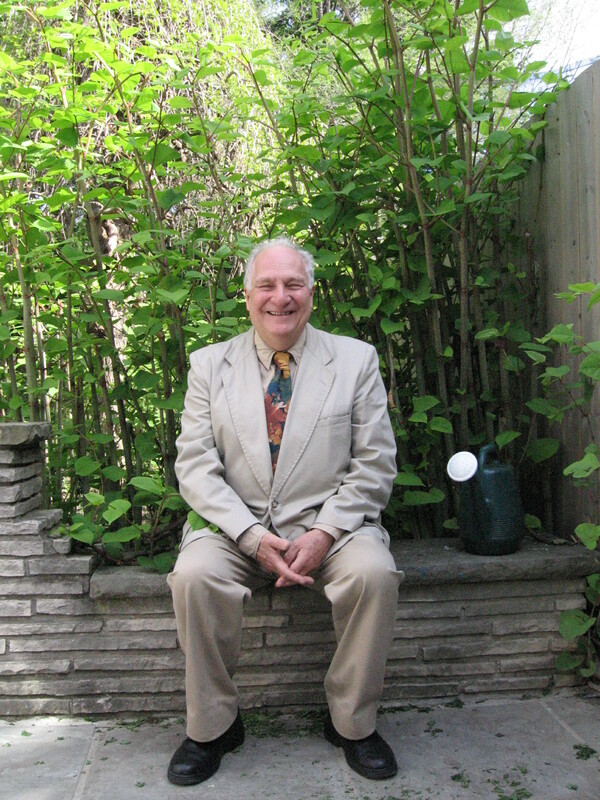 The memoir focused on Frank’s early years in South Africa, his interest in Ouspensky and Gurdjieff, and his account of the twenty or so years that he spent living and working at the Gurdjieff community of Franklin Farms, Mendham, N.J. Along the way he described his meetings with some of the stalwarts of the Fourth Way, notably Madame de Salzmann and Frank’s namesake John Sinclair, Lord Pentland. I was late in reviewing “Without Benefit of Clergy,” which first appeared in 2005, largely because I was perplexed by its title. I had assumed the book had something to do with “clergymen” or with what once was called “living in sin.” Both of those assumptions proved to be wrong. Instead, the title has to do with the desire to dispense with the “the clergy” – that is, do away with the need for intermediaries between the wisdom tradition and one’s realization of it. That problematic title to one side, Frank’s memoir, with its three dozen black-and-white snapshots of life on the farm, is a publication that makes for thoughtful and informative reading. It was Malcolm Gladwell, the Canadian-born essayist and social commentator, who popularized the notion that it takes 10,000 hours of immersion in a discipline or a practice to master it, to make it one’s own. By that token, Frank is totally immersed in the Work, for he spent more than twenty years living and working at Mendham plus all those other years spent elsewhere. He knows the scene forwards – and probably backwards, too. So here are his thoughts on what he calls at one point the “perennial philosophy” and at another point the “traditional wisdom.” He also refers to it as “the Source,” “the Great Work,” and “the Great Knowledge.” Indeed, he has a novel way of referring to it in the book’s wordy subtitle: “Reflections on the Teaching of G.I. Gurdjieff and the Perennial Order.” That’s right, the “Perennial Order.” That formulation is new to me. “Order” in the sense of hierarchy of being? “Orders” perhaps in the sense of monastic organization? A few words about the book itself. The trade paperback is published by Xlibris Corporation in three formats (such are the times): hardcover, softcover, ebook. The work is fairly short, a total of 146 pages, with a preface, introduction, eight chapters, three epilogues, and an index. The attractive painting reproduced on the front cover, which resembles a icon-like cross, a mosaic of pastel colours, is the work of author’s late wife, Beatrice Sinclair. A dozen black-and-white photographs are scattered throughout the book, including the frontispiece portrait of the author, who seems to be giving the viewer a sly look. I will refrain from commenting on the appropriateness of the title, which is a mouthful of words: “Of the Life Aligned.” The book is indeed an attempt to outline how one man sees the alignment of forces as the basis for a spiritual life in a secular society. His discussions and experiences will ring true for a good number of readers. But rather than second-guess the author and pontificate on such matters, let me offer the reader of this review a précis of the book’s contents, chapter by chapter (with a few extraneous observations thrown in). He follows this passage with an allusive account of the effects of a sitting: “And I begin to sense that I’m here to be the link between this current of life and this other, unknown vertical dimension. I need to respect that, and respect that in my neighbour.” It is being done “for Presence” (the noun is capitalized and italicized). For this to happen there must be “this new alignment between the head, the body, and the feeling.” There is no mention in this context of Madame de Salzmann who introduced the “sittings” to the Work – or re-introduced them. In a roundabout way Frank admits to his own limitations and conceivably to those of the Work itself. He writes, “I am convinced that the aim of any real search is not simply to get ‘answers.’ Rather, it is the fact that one can enter into the process from which meaning is derived, to be part of the exchange of energies and the play of forces on so many different levels in which esotericism calls one.” This brought to mind the grace of Subud’s latihan rather than the effort required for self-observation and self-awareness. Chapter 1: Who Is the Teacher? I have always felt that proceeding along the so-called spiritual path should be imagined as a journey that takes place within (à la Jules Verne’s “A Journey to the Centre of the Earth”) rather than as a journey that takes place without (à la Verne’s “Around the World in Eighty Days”). The treasures to be found have been there all the time, not precisely hidden, but underfoot and unobserved, like the “termas” of Tibet. Frank may feel the same way as I do. He differentiates between the Creator and “the Beyond-Being.” He writes, “To repeat: The ‘I Am’ is not the Absolute, but rather it is still the relative Absolute.” As for phrases like “the relative Absolute,” whenever I encounter them, I am reminded of the otherwise indescribable alien artifacts that are called “half-empties” by Arkadi and Boris Strugatsky in their science-fiction novel “Roadside Picnic.” Half-empties? Relative Absolutes? The words may have some philosophical value, but they also partake of Brecht’s Verfremdungseffekt or “Distancing Effect.” The leave the reader wanting to concentrate on them rather than yearning to contemplate what they were coined to represent. Chapter 3: A Glimpse of the “Outer Darkness.” This chapter is a gripping account of Frank’s angioplastic procedure followed by a very serious staph infection. His period in intensive care was characterized by “a variety of subterranean and subconscious recollections … that I could explain only in terms of G.I. Gurdjieff’s psychological teachings.” He shared some of them with his medical specialist who implied that they were imaginings of a writer’s mind. 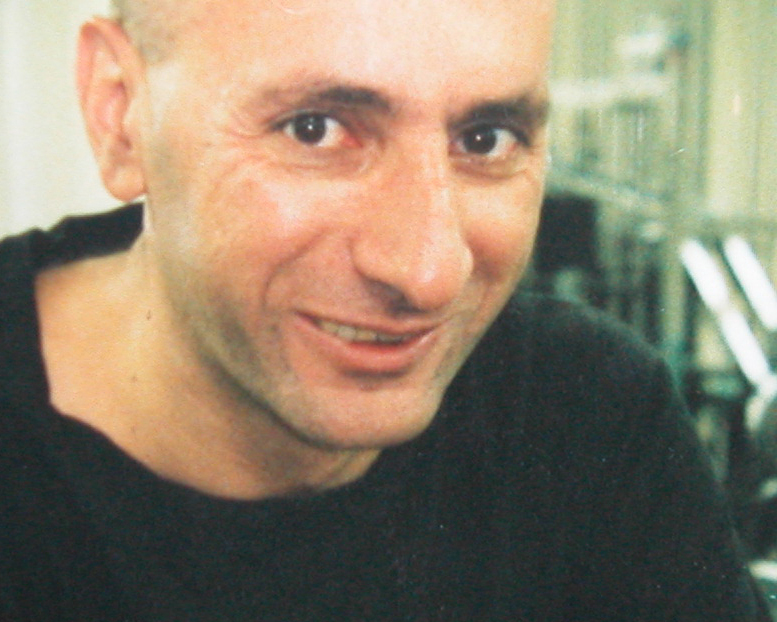 Frank engaged in imaginary conversations and had “impressions being registered by, and in, one or other part of what Gurdjieff referred to as the three-brained structure of the mind, the body, and the feeling.” He found, intriguingly, that these impressions “were being experienced, registered, often with extraordinary clarity,” while unconscious. He concluded that “functions can exist without consciousness.” This is a sensation that has been widely reported in the literature of psychiatry, psychoanalysis, and analytic psychology, and it does seem ominous in its implications. There were as well dreams and delusions and these may have been caused by the prescribed SSRIs (selective serotonin reuptake inhibitors) and they may have contributed to what he felt were Bardo-like states. One delusion of his “addled mind” was that a psychiatrist friend was imagined to be a “Prince of the Church.” As Frank concludes these pages of self-appraisal: “The staph infection can be a murderous and totally disorienting thing.” It took some courage to write so openly about disorientation and its possible orientation to other dimensions of reality or consciousness. About his inner state at the time, Frank found there to be three elements: “dark energies,” “myself,” and “a silent witness. The third element was “a dispassionate presence, unintrusive and unmoving, and totally impartial to this incredible struggle.” Was the second element (“myself”) a “second body”? Was the first element (“dark energies”) a scattering of drives like those recognized by Freud? Subsequent pages are devoted to some discussion of the self and the soul, the centre, etc. The second section is titled “To Live in Emptiness.” Beatrice’s suffering and death were followed by his own suffering on her behalf and this is the subject of the present section. He considers the notion of “emptiness” and quotes Madame de Salzmann to the effect that Gurdjieff himself admitted to her that in the wee hours of the morning he gnashed his teeth and wept bitter tears. To suffer is to be human. Or better: To be human is to suffer. What I missed in this chapter, as well as in the relevant chapters of the earlier book “Without Benefit of Clergy,” is a pen-portrait of Beatrice, Frank’s companion for almost fifty years. She was surely a patient and positive woman in her own right, his helpmeet in the months of his greatest stress. He writes, “In its broadest possible meaning, I Am is All and Everything, the ultimate, although not exactly the absolute Absolute …. 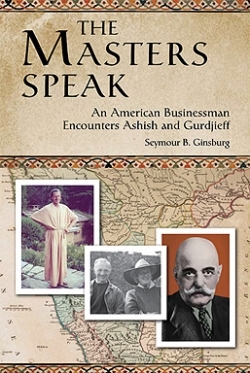 ” He recalls that Gurdjieff had said that “I Am” was “the first exercise in the work to remember oneself (more properly, perhaps, to remember one’s self).” To this end he refers to the “real Christmas present” that Gurdjieff presented to his followers on December 25, 1948, at the Hotel Wellington in New York City. There follows a brief discussion of what took place at that memorable dinner. Frank’s half-century in the work pays dividends in unexpected ways. He recounts how Michel de Salzmann give him a variation on the “I Am” exercise: “On the slip of paper which he had handed to me with what I recall was a one-sentence description of the exercise as being ‘food for the astral body’ were one or two other numbered exercises attributed to Gurdjieff. So it was authentic, from the source. This was not something that Dr. de Salzmann had made up.” These pages are rich in speculation and association, best read as he presents them rather than in a paraphrase. The feeling I had reading this section is that Frank is elbowing his way into the province of prayer. Indeed, it is difficult to read this chapter’s second section without that word hovering over the account of “sensations” which stress how “a higher or a finer quality of energy” needs “in turn to reverberate or resonate in harmony with the other parts – the mind and the feeling – as a cohesive whole.” The discussion here leads me to believe that some day Frank may take the time to compose his own glossary of spiritual terms, as he is a clear writer, a fair philosopher, and a serious seeker. Frank missed his calling – he could have been an event planner – because he found great meaning in planning the program for Beatrice’s memorial service . I will spare the reader the details of the Order of Service, which took place at the Presbyterian Church, Palisades, N.Y., on 6 September 2008, except to note in passing that all the passages that were chosen to be read on that occasion remain specially resonant to followers of the Work. Frank finds that he has “the need to understand the relation between the immensity of I Am and the ‘non-inherent existence’ of the human being. What is it that enables the spirit to become a force that quickens?” Beatrice’s answer to this question was an observation made by Madame de Salzmann in 1990: “When we receive this grace, we are no longer alone.” Frank concludes, “‘This grace’ could only be that of Presence.” To make his point, he quotes from Guénon, Sri Anirvan, and Ravi Ravindra. Chapter 8: Intimations of Grace. 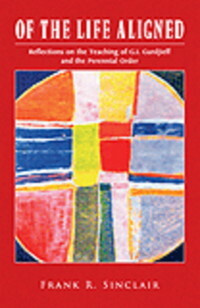 The author’s own struggles with defining “the comprehensive reality of the Godhead as distinct from the Creator, and the evident need in the great scheme of things for instruments of the spirit – instruments of ‘the multiple states of the Being.’” References are made to Alvin Moore, Jr., Meister Eckhart, Ananda K. Coomaraswamy, and Gurdjieff. Epilogue – 1: G.I. Gurdjieff’s Teaching in the Modern World. This chapter is something of an anti-climax (following the deep sea fishing of the previous chapter). It takes the form of an interview conducted by Tony Lahoud, editor of the website GurdjieffArabic.org. The interview is a model of its kind, a leisurely introduction to various aspects of the work, including a brief discussion of Gurdjieff’s indebtedness to Sufism. Frank makes his characteristic point: “His teaching is not a new religion. Rather, it is a return to tradition.” There is even a discussion of “schools,” harkening back to Ouspensky’s certainty of the need for them. It is difficult to argue with such conviction – as well as fruitless. Offhand I would add that it is also difficult to distinguish this emphasis within the Work from the Vipassana Movement of Theravada Buddhism or from the Mindfulness-based Cognitive Therapy of Jon Kabat-Zinn of the Centre for Mindfulness in Medicine, Health Care, and Society at the University of Massachusetts. No doubt practitioners of the Work know that there are intentional differences, but Frank does not spend time discussing these. Epilogue – 3 reprints the Order of Service for the “Memorial Program for Beatrice Sinclair.” After reading Frank’s two books, I still have but the haziest idea of what Beatrice was really like. (He shares this unwillingness to go into detail with Dante.) There is an Index but an incomplete one. The larger issue is that of the purpose of the vehicles for the teaching: the Institute, the Society, and the Foundation. The teaching has been in the West for a century now, which is a long time for any particular theory and practice no matter how “traditional.” How much has it changed? Is it changing now? Will it change much more in the future? Will the Gurdjieff Work survive? In what form or forms? Let me add, as a reader, based on the wealth of experience recorded in “Of the Life Aligned,” that Frank is probably right, and that he is probably the fellow who is best constituted and positioned to tackle the task of keeping it alive, if that is an aim that may be realized in our day and age (aka “merciless Heropass”). If not him, who?